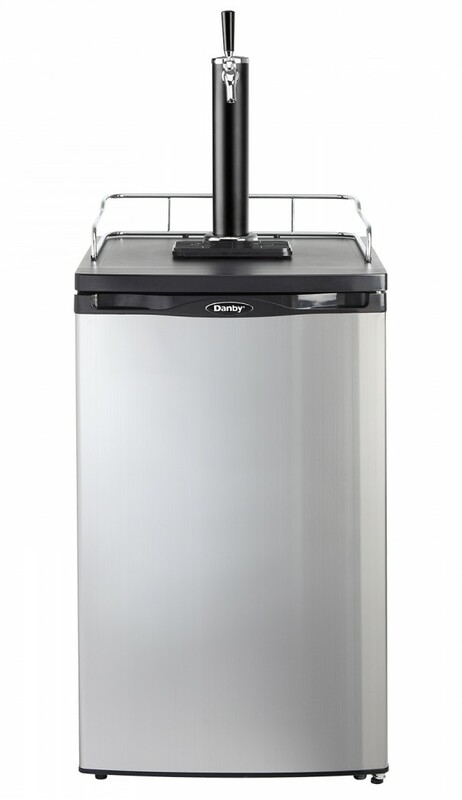 Your friends will consider you the best party host with this ultimate freestanding keg cooler by Danby. With its 5.2 cubic-foot (146 litres) capacity, its environmentally friendly R600A refrigerant, and its automatic-defrosting system, you are in store for a great product with hassle-free maintenance. 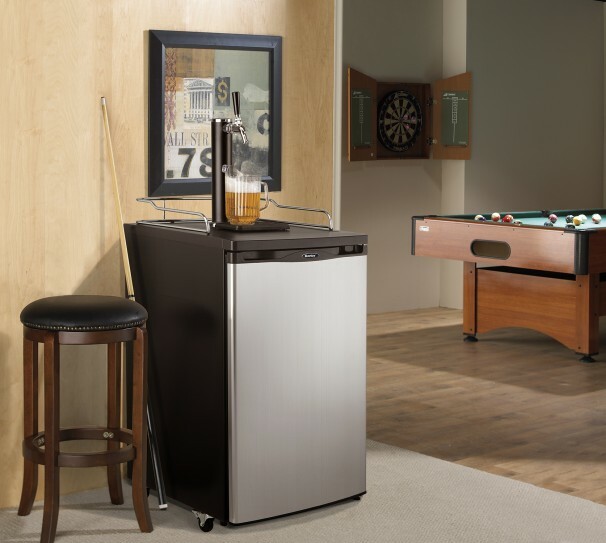 This keg cooler includes a CO2 tank, all of the required hardware, and a precise mechanical-temperature control function. The finish on this unit is a spotless-steel one—resembling stainless-steel but much easier to clean. Did we mention it has a scratch-resistant worktop? 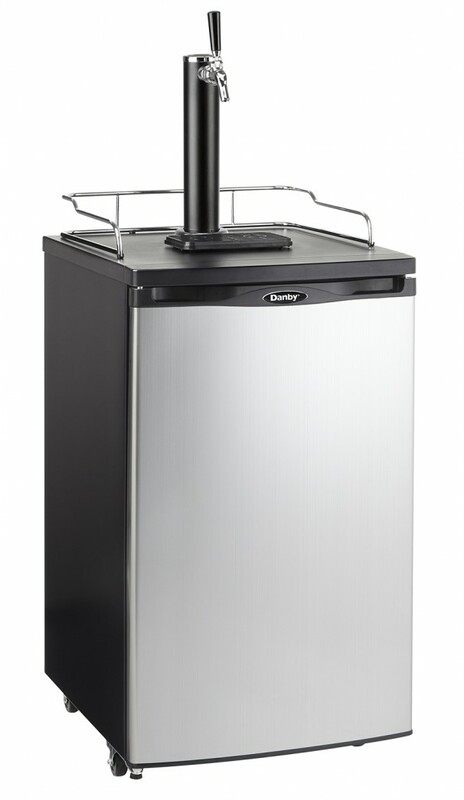 More features included with this attractive unit: a removable drip tray, a black/chrome beer tower dispenser, and chrome guardrail. The door hinge is reversible which allows you to adjust it for either left or right-handed opening. The convenient heavy-duty castors allow for easy portability. My beer is foamy. Why? This could be happening for a couple of reasons: 1) the keg is unsettled 2) the beer is too warm 3) The pressure is not set properly (we recommend 8-10 pounds) 4) there could be a kink in the line.